sneak peek at what i’ve been working on today: a big chunky faceted smoky quartz dangles as a pendant; i’ve wire-wrapped faceted rutilated quartz to make a chain out of oxidized sterling silver wire. i think the dark grey of the wire compliments the smoky quartz perfectly! look for it soon at my etsy store. 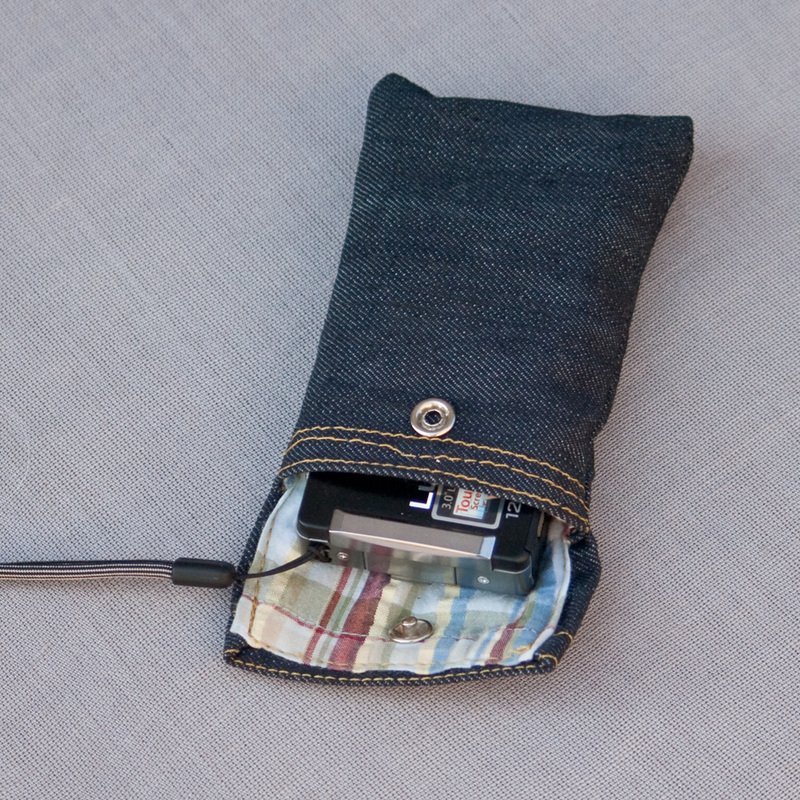 putting the fun back in functional: here’s the camera bag i made for our new tiny camera. 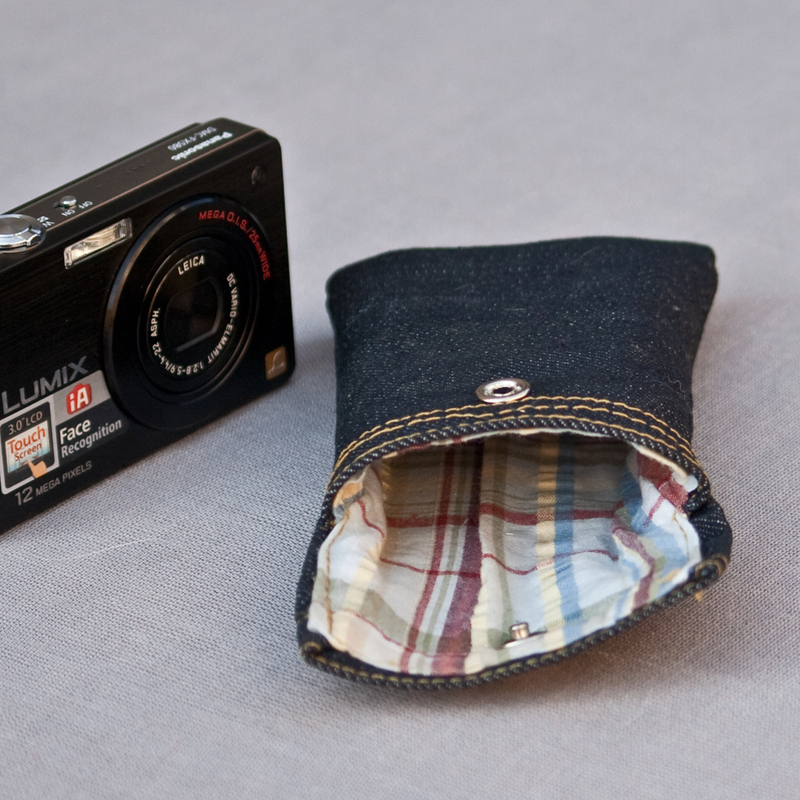 this camera is much easier to fit into a back pocket than our canon rebel! but i still wanted to protect it from scratches and other owies. i used some denim i had in my fabric stash; the lining is repurposed madras fabric from a shirt. for that jeans-y feel, i used yellow jeans thread to sew it all up. 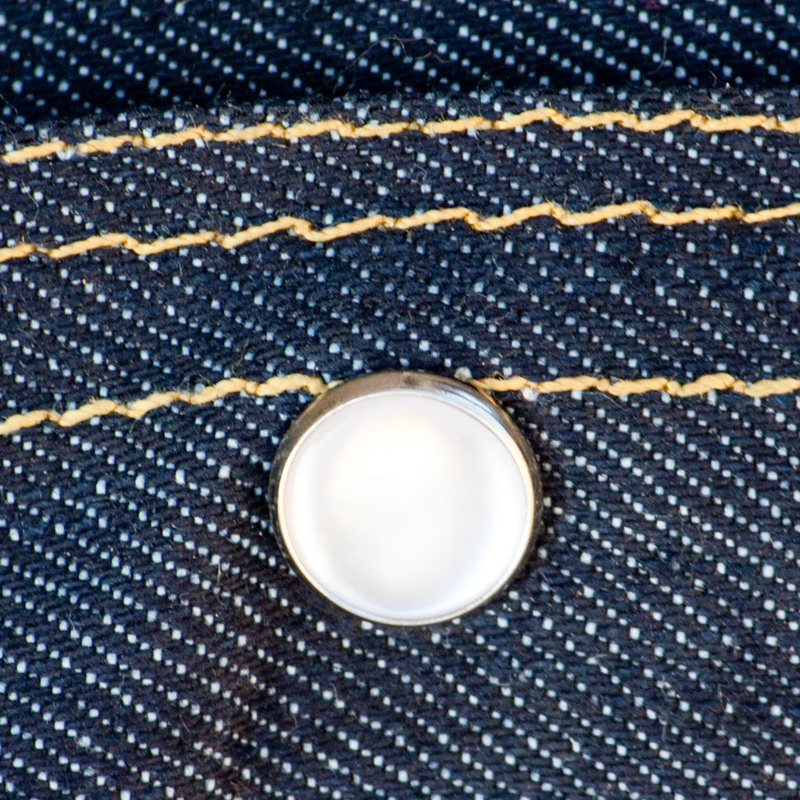 it closes with a pearl snap! fun! please meet hedwig the hedgehog, the newest addition to my craft family. this adorable pincushion has been handmade by littlewhimseys and makes me smile every time i see him. right now he’s sitting on my sewing machine. i haven’t had the heart to stick any pins him him yet! i spotted this little guy on etsy and immediately added him to my favorites. before i could buy him, my husband got him for me for valentine’s day! sweet, huh? the base is made out of a bottle cap and felt and–the best part!–hedwig himself is handfelted! cute little additions include his beaded eyes and stitched quills. check out other cool handmade creatures made by the same artist at her blog, the fruity salad. kyanite has this cool ability to reflect light while showing off its inky depths. it reminds me of a deep mountain lake sparkling in the sunlight. i combined it with some of the sterling silver that i have oxidized and hand-burnished to a high shine. the cool blue black brings out the inclusions of the stone. i couldn’t find a single strand that looked just right with this stone, so i entwined a royal blue leather cord with a periwinkle hand-dyed and sewn silk cord. it’s finished off with more oxidized sterling silver hardware. it’s available at my etsy store for $38 USD and wants to go out on the town with you. part of the delicas collection. i found this sweet vintage frame at an antique store. separated from all its bits and pieces, it looked kind of sad but like it had potential. so i took it home. well if that isn’t just the story of my life. i cleaned it up and added a few details: i sewed a brown velveteen strip onto a rich taupe silk shantung at the bottom (very secure! 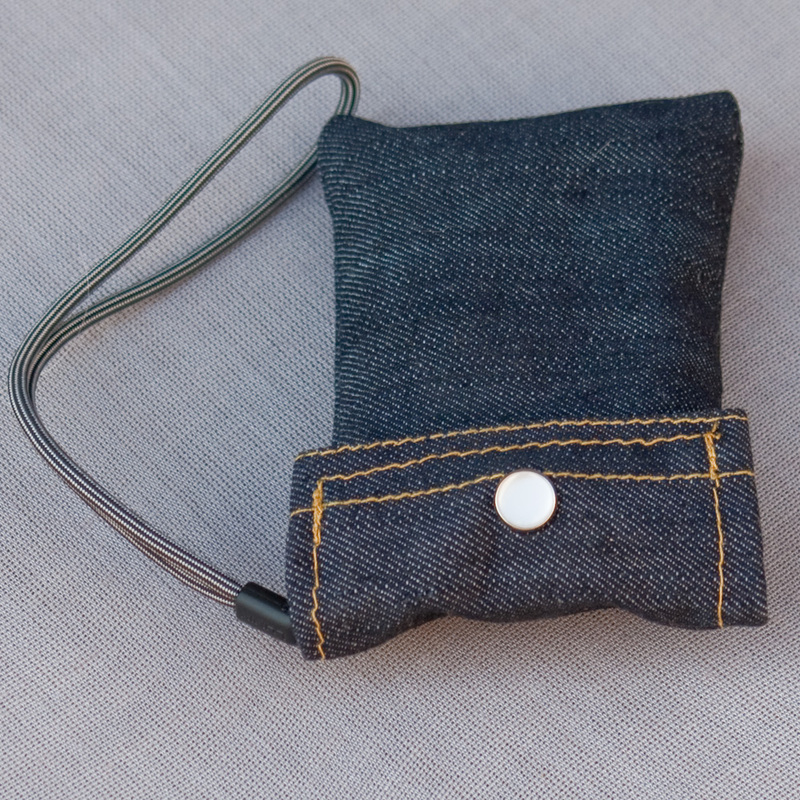 ); the pocket has an elastic band so it makes a great pocket for rings and bracelets. i added two strands of grosgrain ribbon for earrings to hang from and 14 brass hooks at the bottom of necklaces. the brads and buttons at the top are the place for hoops and i include 10 pearl top pins for leverback earrings. shazam! the center is foam core, but i’ve added a sheet of thick chip board on the back to give it a finished feel and so that pins don’t poke through. the frame hangs from a matching grosgrain ribbon; over a nail, a hook, or a door knob. it even has little rubber bumpers on the back to keep it from scratching your walls. it’s available at my etsy store for $46 USD as part of the ‘where to put it all’ collection. i normally think of hand-tooled leather as being for belts or cowgirl boots, but when i saw these beads, i thought that leather might have a place on ears, too. the pattern reminds me of a river delta. or maybe desert dunes. something soothing in its repetition. the lines on the leather had been dyed with a lovely orangey-tan, so i looked to carnelian, a personal favorite of mine (yay orange!). together, they looked so great that i didn’t add much else: just a bali sterling silver spacer. i hung them from sterling silver earwires; because of how they hang, they have a little movement to them. they’re available at my etsy store for $22 USD. part of the urban prairie collection. 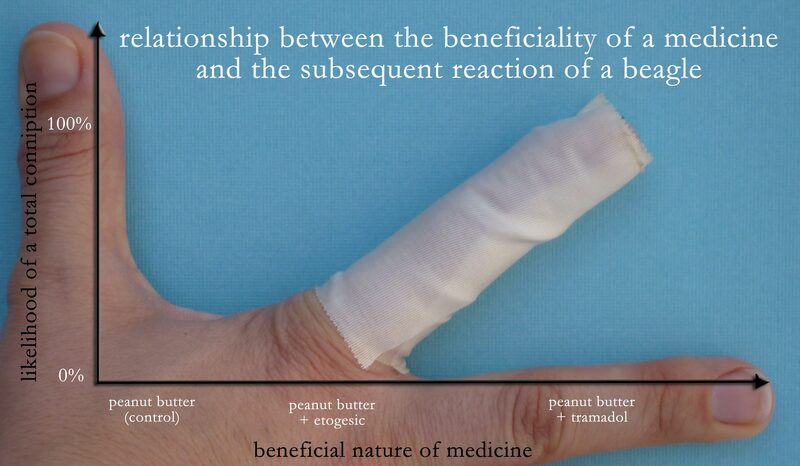 for your edification, i present to you the mangled finger graph. part of a little experiment i like to call “not-so-still-life with beagle”. it’s not as bad as it looks, but my sweet little beagle did bite me pretty hard on my right index finger while i was trying to give her a medicine that is very good for her. my finger isn’t horribly mangled, but it is bruised and hurts a lot when i try to, say, use it. the tape reminds me not to before the pain can remind me that i have short term memory problems. rigt idex figer does’t work so well toda. for those of you who have working right index fingers, that reads: my right index finger doesn’t work so well today. sigh. i guess from my dog’s point of view, i have 10 fingers, so what’s one less? i mean, i have opposable thumbs, right? !